Bengaluru, Nov 5: Former India captain Kapil Dev wants alleged match-fixer S Sreesanth to cite enough examples to back his claims of facing a rough treatment from the BCCI. 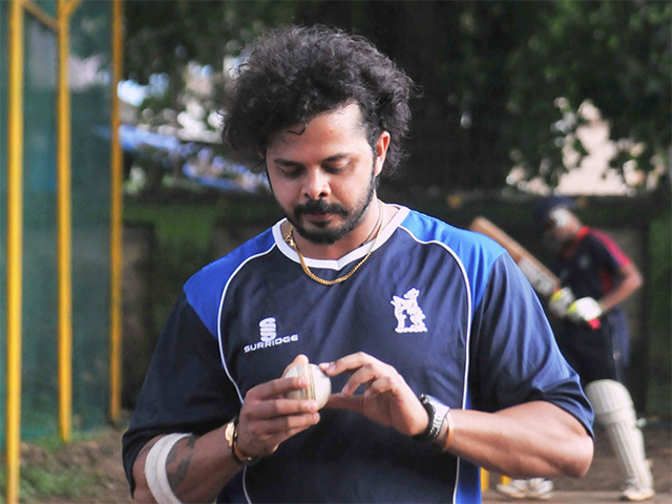 Sreesanth had been suspended for life on charges of match-fixing and has since been fighting his case in the court. The BCCI has stuck to its stand of not removing the life ban imposed on the Kerala pacer. "If he (Sreesanth) thinks that way (BCCI has been biased), then he has to give enough reasons to back his claim. Every person feels he should be playing for the country but at the end of the day, only eleven players are going to play," Kapil told reporters on the sidelines of Krishnapatnam Golden Eagles' Golf Championship here. He was replying to a PTI query about the stalemate between Sreesanth and BCCI. However Kapil maintained that it is Sreesanth's personal opinion. "These are Sreesanth's personal views. I cannot comment much on his personal views," he added. Sreesanth had yesterday said that he would approach the Supreme Court to get the life ban imposed on him by the BCCI lifted. Sreesanth's allegations of discrimination against the governing body yesterday was reportedly rejected by Neeraj Kumar, BCCI Chief for Anti-Corruption and Security Unit . Sreesanth had earlier said:"All I said was that there were 13 accused and why they were treated differently. This is the only thing I asked. I never asked to reveal their names. More than anyone else, I know much better about it because I was the one who had undergone the toughest possible time," he had said.